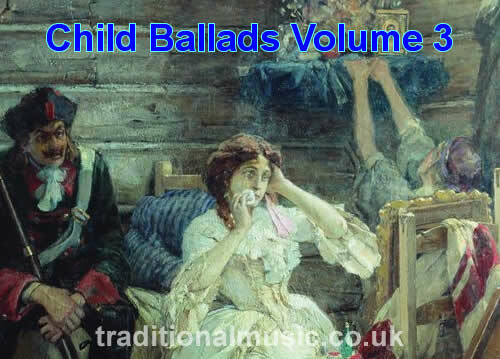 A collection of traditional English Folk songs and ballads collected & compiled by Prof Francis James Child. [1825-1896] Complete text of Volume 3 of 8 volume of the 1860 version. Professor Francis James Child ballads collection was published in two versions, the first, a eight volume set, and later a modified version on five volumes. This is volume two of the eight volume set published in 1860. This is another of my scan and OCR products so please excuse the few weirdnesses you will find. The Francis Child Ballads, 1860 8 volume set, Volume 3 Content Index. Deduct 100 from the page numbers show to get the original book page number. The Following 3 items go with the above lyrics collection and provide midis and tablature for most of the songs.